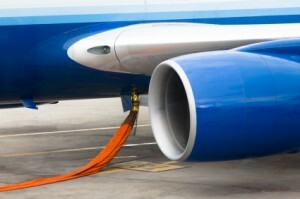 Jet fuels are generally clear or very light colored, low-sulfur middle distillates used to power jet engines. Middle distillates are a general classification of refined petroleum products that include fuel oils and kerosenes. Out of all oil product prices, jet fuels are probably the least consistent in terms of production and pricing. One reason for this is that production and storage of jet fuel isn’t necessarily in conjunction with other petroleum products, like motor gasoline, because jet fuel sales rely heavily on consumers that travel via air, for work or vacation. However, jet fuel sales tend to peak quickly during certain times of the year or during certain events; i.e., holiday season traveling and/or large scale military air strikes. Jet fuel testing and quality control is extremely important because modern aircraft’s require high quality fuel in order to maximize engine performance. PhosLube specializes in jet fuel testing and quality assurance, providing quick and accurate results.